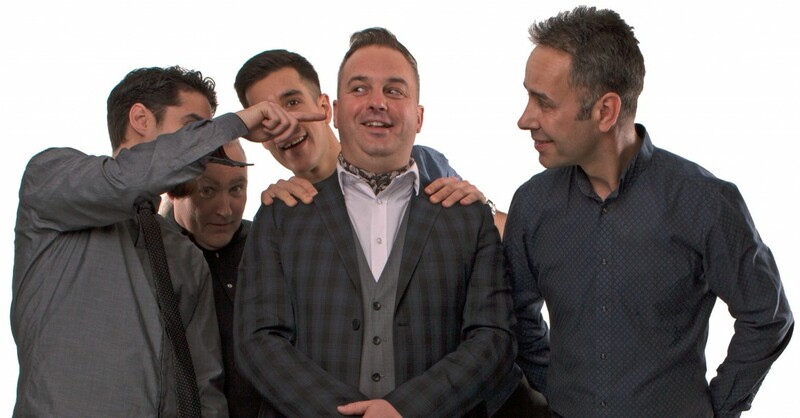 Premium-quality 5-piece events band based in Bournemouth playing modern chart hits and classics from the past with our own unique energetic flavour. They travel widely across the South, UK and beyond playing the best weddings, parties and corporate events! Allstar Audio are a professional, contemporary, and versatile events band and function band. They play modern chart hits as well as classics from the 2000's back to the 1950's. 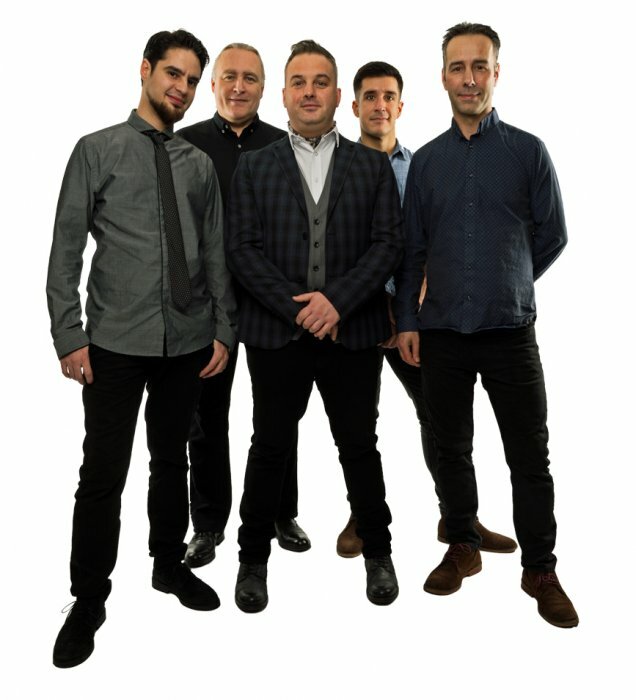 They are experienced musicians who have worked with some of the biggest names in the music business, appeared on TV and Film (including a Hollywood movie with Kevin Costner! ), toured with Grammy Award nominated artists, performed at UK festivals including Reading, Leeds and IOW plus many more in Europe, and supported huge artists such as The Arctic Monkeys, Supergrass, The Ordinary Boys, Feeder, Wheatus, The Bachelors, M-People, Mylo, Moby, The Feeling... to name but a few. 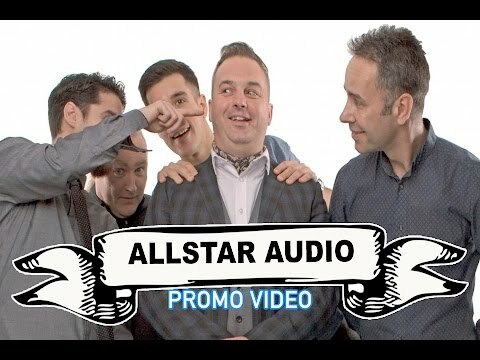 Allstar Audio absolutely smashed my expectations. In the lead up to our party, they were so easy to deal with and so interested in everything about the event. On the night their performances brought such energy and entertainment to the room that I saw every single person on the dance floor. A fabulous function band but moreover a great bunch of talented and enthusiastic ambassadors for your event! Top class from start to finish! Yes - we have full Public Liablity Cover, we can email you or your event planner a copy of the current certificate on request. All our electrical equipment is also regularly PAT tested and certified. We play for up to a total of two hours on stage, typically 2 x 60 minute sets with one break, or three 40 minute sets with two breaks. If your event would be better served by different timings, say one of 90 minutes, or two of 45 minutes, that's no problem: we'll simply arrange the timings to be flexible with whatever else is happening during your event. We usually arrive 1.5 hours before we are due on stage (earlier for the larger events), and finish at the agreed time. If you wish us to arrive earlier or stay later, please let us know in advance of the event - we can easily arrange this in advance, but it's often impractical to organise on the day if we don't already know about it. Do you provide background music between your sets? Can you play for our first dance? Yes, we'll discuss this with you at the time you book us. If your song is not already in our repertoire we can probably learn it especially for your wedding day. If it's not suitable for any band to play, you can bring an mp3 player along and we'll put that through our system for you to dance to. Let us know the song choice in advance, and we can bring a backup copy too, just in case...good to be prepared! What stage area or electricity do you need? Allstar Audio can perform with or without staging, indoors or outdoors (covered). We need an area of minimum size 5m x 4m, which must be level and dry (we're thinking of the marquees and outdoor gigs here!). It doesn't have to be a stage - generally it's better to have the band in a larger space on the floor where they can move about and put on a good show, than squashed onto a stage that's too small. We need one 13A (safe) socket minimum, and if you're using a generator for an outdoor event, please ensure that it is capable of delivering a steady 3KW without any problems, also that it is being operated/installed by a suitably qualified person. Yes, our PA system is fully self contained, good quality and reliable, and is powerful enough for audiences up to around 250 people. We are very sensitive to your audience's requirements particularly regarding safe noise levels, so we always run at the minimum volume level appropriate for the event and venue. If your expected audience is a larger than 250 people, please discuss with us, we can easily expand our sound and light system to an appropriate size for bigger gigs and adjust our quote accordingly. If the venue has a Noise Limiter fitted, we work with these as well as it’s possible to do, but please be aware that they may possibly cause interruptions to the event - talking to the venue for advice in advance is recommended, since they know best what's worked in the past at that venue. We have lights for the band onstage, and coloured scan/sweep lighting that is sufficient for a dancefloor area immediately in front of the band. For larger events, we can increase the light show accordingly, just call us to discuss details. Do you need a dressing room or food? The band will be working in your venue for several hours, so will need somewhere to rest, get changed, discuss the songs we'll play, leave our personal belongings. You might prefer this to be out of sight of your guests. As the band may have travelled some distance, and can be away from home for many hours, we may need to eat at some point (just to avoid passing out!). If you or your venue can't supply food please ensure there are facilities nearby that can. The band will need an available supply of soft drinks, or water. Allstar Audio wear what can be described as smart/casual. We need minimum approximately 45 minutes to set up for events such as weddings/parties etc. This assumes we have direct access from our parked cars (4) to the stage, please add more time if there is no parking very close to the venue. We usually arrive about 1.5 hours before we are due on stage. The band is always prepared to wait in the wings if things are running behind schedule. For wedding events, the best time for us to set up is usually after the reception speeches, while the guests are socialising and the tables are being cleared after the wedding breakfast. We'll carry out a very brief 'sound check' to ensure the sound quality and volume level is appropriate for the room and guests, which usually takes a minute or two once all the equipment is set up. Ideally this is done when the room is empty, but if this isn't possible we will explain to the guests/audience what is happening, and ask for their patience. For larger events, we fit into your schedule for arrival, set up etc, just contact us to arrange the details. How late do you play? For private parties, weddings, just let us know what time you want your guests to party to! We'll agree a finishing time with you when you book us, typically we find this is usually 11.30/midnight which is what most hotels & venues often require. If you are required to have a hired venue empty by a certain time, please allow one hour for the band to pack away their equipment, longer for larger events. Do you charge extra to arrive early or play after midnight? It's no problem for us to arrive early and have our equipment set up in advance, before your guests arrive, or to play as late as you like, but we do have to charge a little extra for this. If your event is running very late and you want us to finish after the agreed time, or you're having such a great time you just don't want us to stop, you can often negotiate on the spot for us to keep playing. Can I make a speech through your microphone? Yes, that's no problem, just let us know in advance. Talk loudly, clearly, close into the mic, and don't walk in front of the PA speakers (or you'll get that "feedback" whistle/noise). Does your price have any extras to pay? No it's fully inclusive of everything, travel, accomodation etc, the price we quote is the price you pay. We play at the level you want, it's that simple. If we are too loud or too quiet, just have a word with one of us and we'll adjust the volume accordingly. Can another band/DJ borrow your equipment? This might be possible, we'd need to talk this over with you in advance, and we would charge a small fee. We don't allow other musicians to play our instruments though. Can I choose the band's set list for my event? You've probably seen our songlist already and we're always happy to include any favourites you have from them, simply discuss it with us first. However, please don't write a set list for us, as this gives us no flexibility if your guests don't like the same music as you! It's best to trust us, we've been playing for many years at all kinds of events, and it's part of our job to know what audiences like, so they have a great time! What if you don't turn up for my event? We will, don't worry! We've been working professionally for many years, so you also know we'll still be around when you book us well in advance. We are professional, and have our reputation to uphold! We totally understand your concern, it's a valid question, and it's something we have planned for. We can't recall any of us ever missing a gig due to illness, and we've been playing professionally since well into the last century! - but it's good to have a backup plan! Like most bands, we do know many other musicians, several of whom could potentially fill in for various band members if there was a crisis. 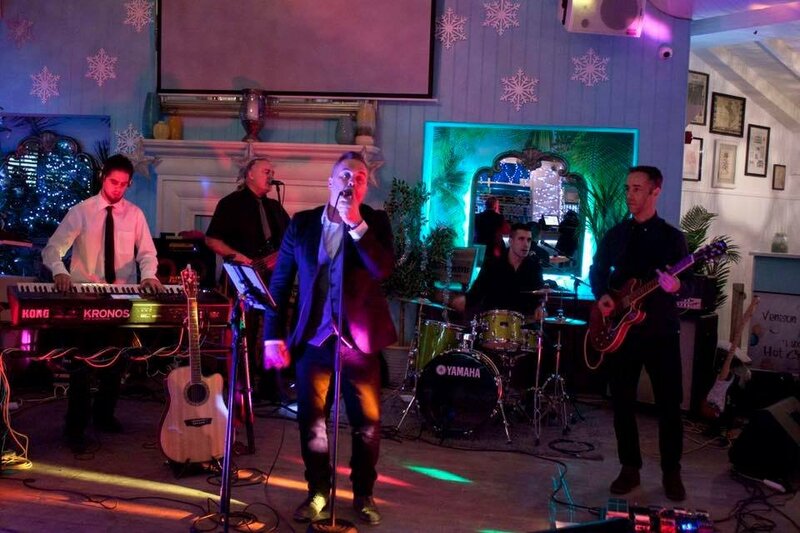 Customers who have enquired for Allstar Audio have also been interested in the following Wedding Rock and Pop Cover Bands who are also available in Dorset and the South West Of England. For more information or further options, please call 0845 643 9384.